If you envy your friends because they have bought a new house, then you’ve chosen the value of Material Success. If you are jealous of the most popular person in the class, then you’ve chosen the value of Popularity. If you admire the creativity of another person at your work, then you’ve chosen the value of Creativity. Our values determine the metrics by which we measure ourselves and everyone else. It is how we consider ourselves (our actions) as a failure or a success. So, if you’ve chosen Popularity as your value, the number of likes you get on Facebook, the number of people coming to your birthday party would be your metrics. The higher the number, the happier you get. Common values bind good relationships. 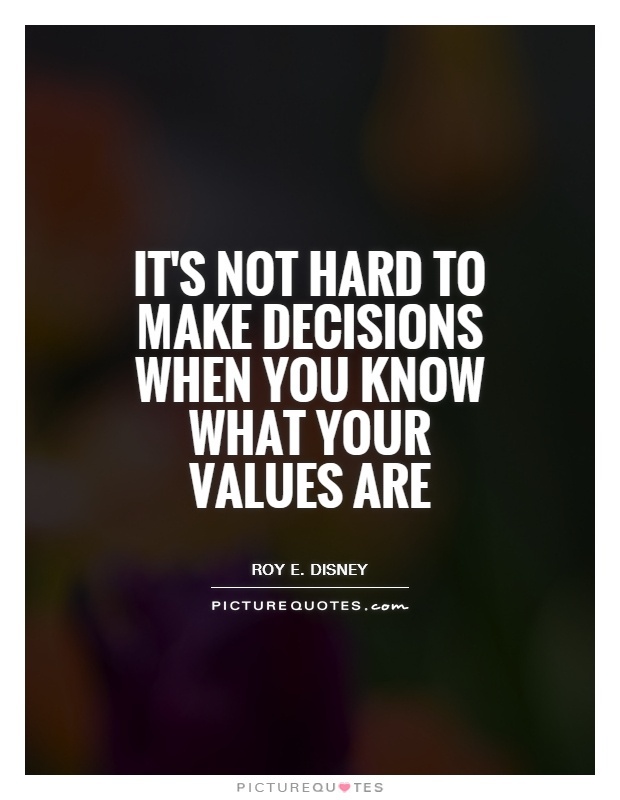 Values help you during your difficult moments - they make the decision for you. A side note - they might not be easy to execute. Before we get into the characteristics of good values, here are some examples of good and bad values - just to make sure we’re on the same page. Bad Values - Popularity, Material Success and Pleasure. Pleasure is a side-effect and is not the thing that you optimize your actions on. Good Values - Honesty, Staying fit and Creativity. Reality Based - A good value is based on reality. Consider the example of popularity. It is not a good value as you may feel that you’re very popular in class but in reality, you’ve no idea what others think about you. Hard - Standing up for your values is hard, especially during the difficult moments. That’s why they’re called values. Socially Constructive - It makes you and the people around you a better person. Controllable - Most of the good values are achieved internally and you have total control over them. If you want to be honest, you can be honest.